and dryer have the same hookups and connections as a standard washer and dryer. No additional plumbing or electrical change is needed. 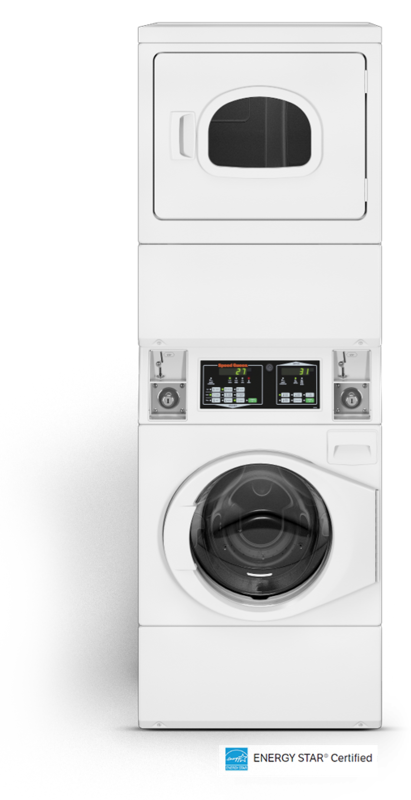 Speed Queen’s stack washer/dryer combines heavy-duty construction with reliable operation proven to stand the test of time. They’re designed with less moving parts for one reason: so you’ll face fewer maintenance problems and less wear and tear down the road. Front load products have met every design standard to be 100% ADA compliant. Cutting edge Quantum control system from Speed Queen gives you the freedom to manage laundry your way and the power to achieve unprecedented levels of revenue. This revolutionary technology provides users with more cycle choices than ever, offers unprecedented options to help lower operating costs and incorporates tools and options to increase revenue. Electric dryers come equipped for 240/60/1 operation. They can be field converted to operate on 208/60/1 with optional 61928 conversion kit. 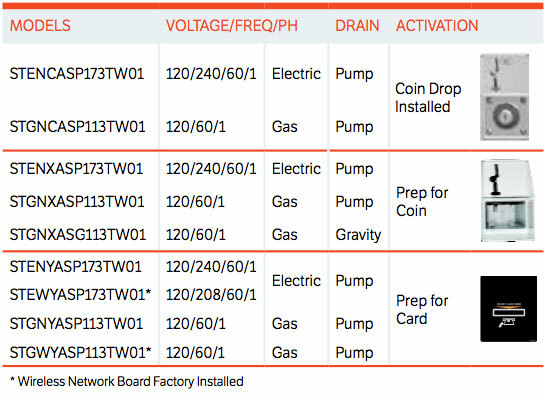 Gas dryers can be field converted for operation on LP gas with optional 458P3 conversion kit. 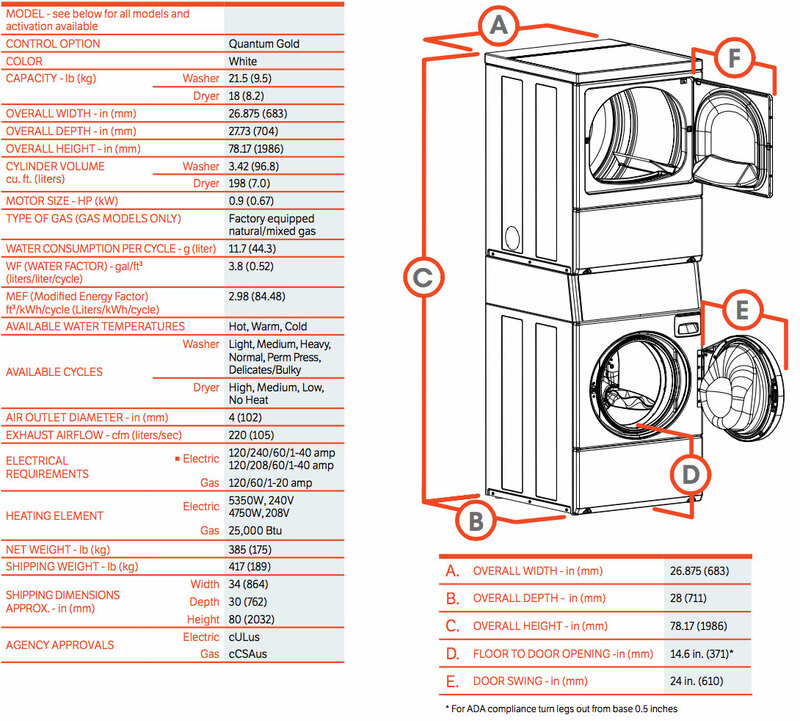 For the most accurate information, the installation guide should be used for all design and construction purposes. Due to continuous product improvements, design and specifications subject to change without notice. The quality management system of Alliance Laundry Systems’ Ripon facility has been registered to ISO 9001:2008.